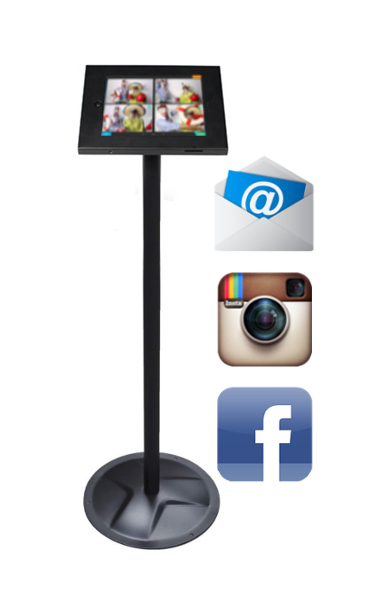 We rent our photo booth by the hour and always include all the great features listed below. Rentals start at $550 for 2 hours. We then charge $150 for each additional hour the booth is in operation. Contact us to see if we are available for your event. For holidays, peak seasons, and long weekends (where a national or provincial holiday creates a long weekend or a holiday is close to a weekend), our minimum rental time is 4 hours. The reason for this policy is that these are super high demand times. We also charge a minimum 4 hour rental for events that take place in a remote venue. To reserve your date, contact us first to make sure we’re available. Then you can reserve your date simply by paying the $100 deposit below. Click here to pay the deposit for your event or to pay the remaining balance.